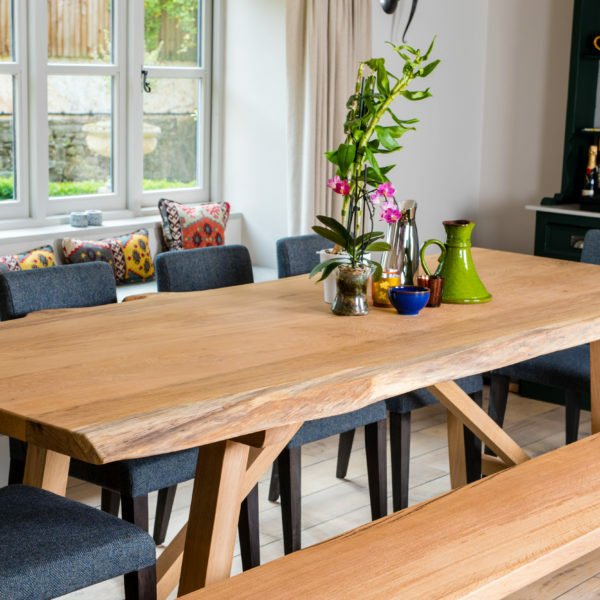 Our Farmhouse Live Edge Dining Table. 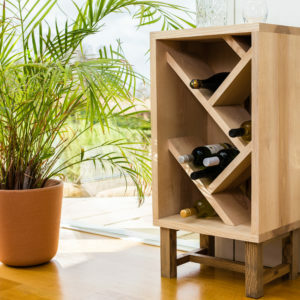 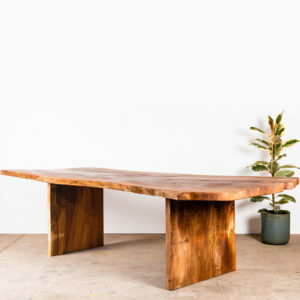 Prices shown are for this piece crafted from Oak. 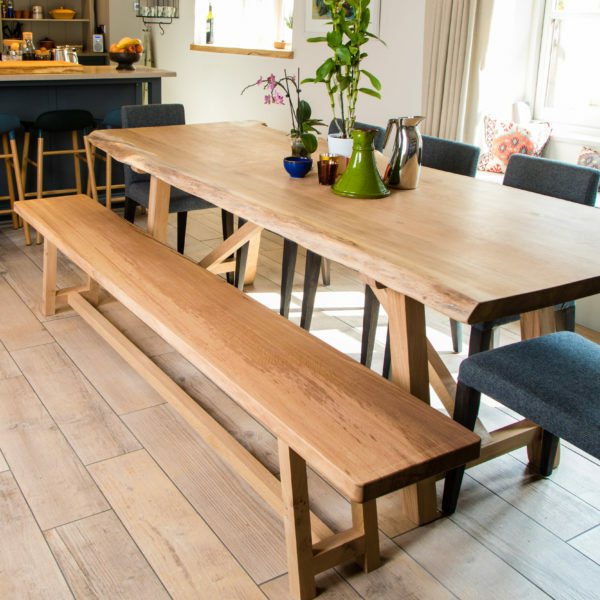 Alternative timbers are also available. 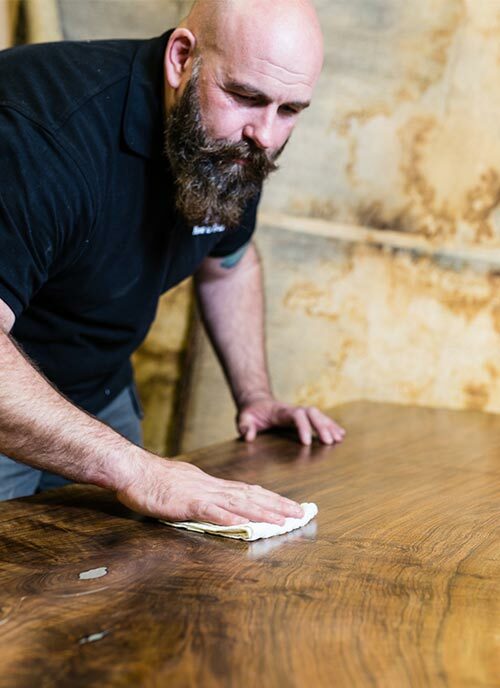 To discuss bespoke options, please contact us here for your free personalised quote. 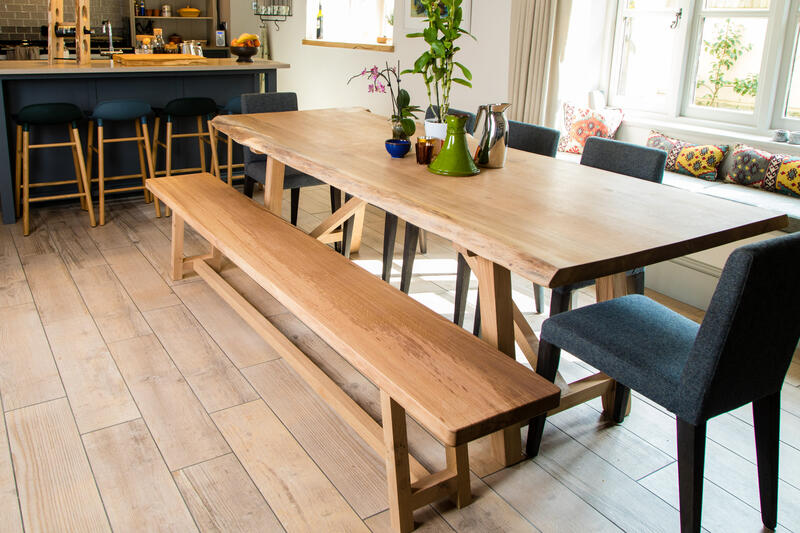 A stunning selection of air-dried live edge English Oak slabs has been combined together to create this table top. 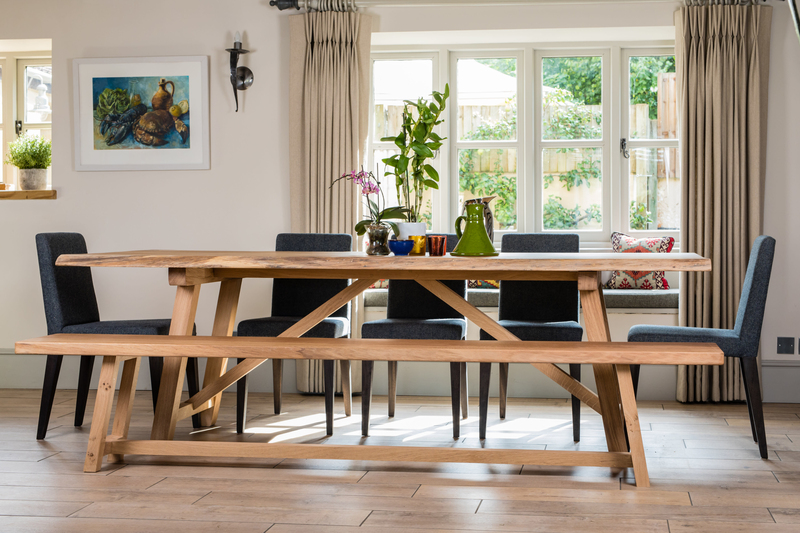 Either side, two live edges have been artfully preserved and ergonomically tapered for comfortable dining. 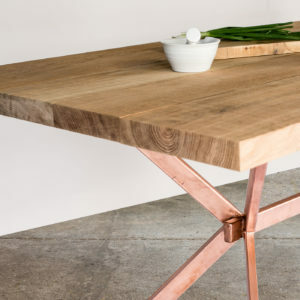 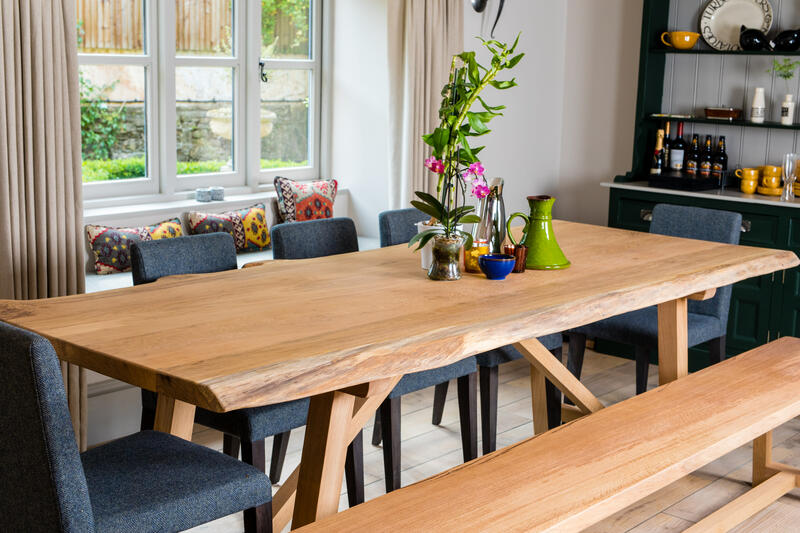 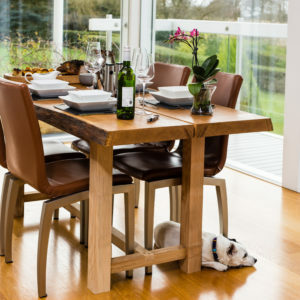 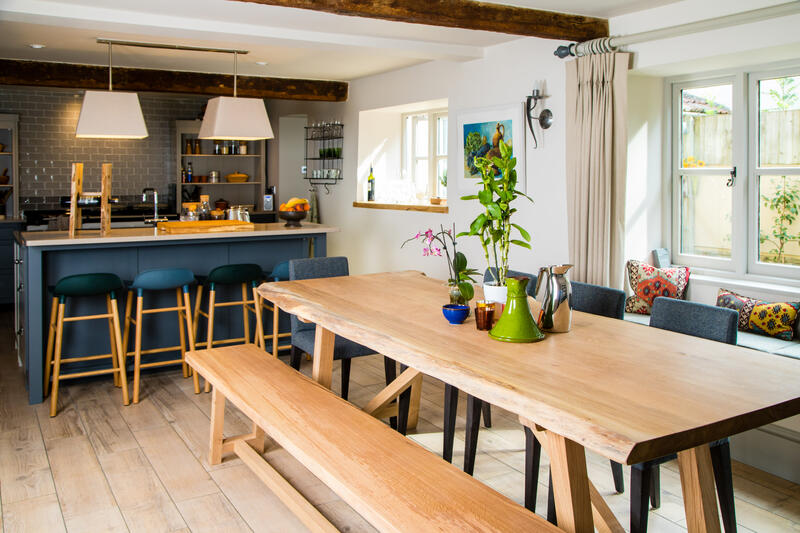 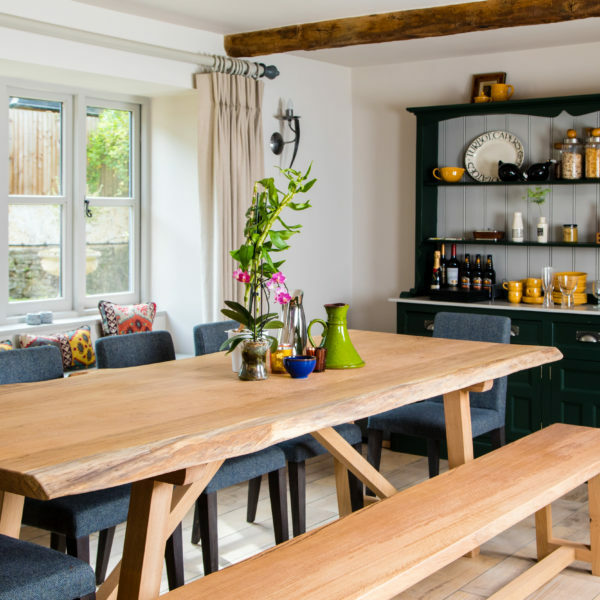 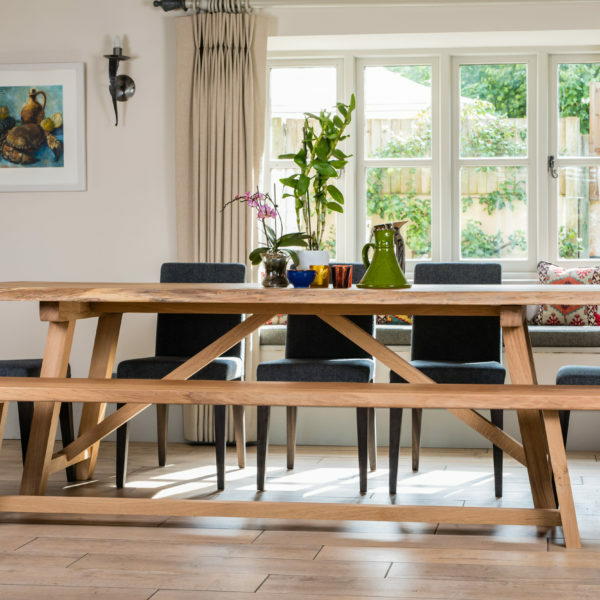 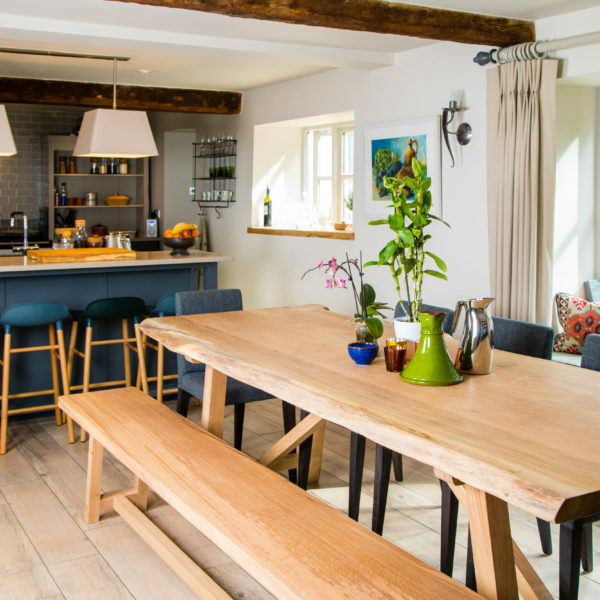 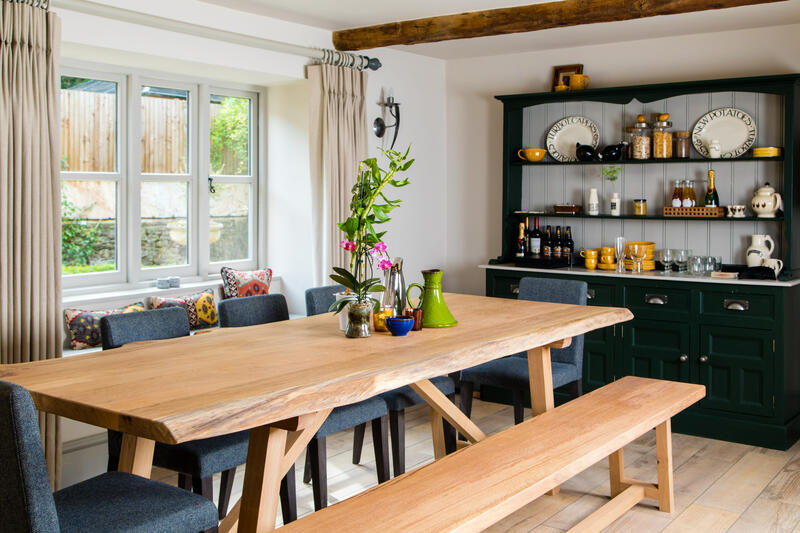 Underneath, angled legs with aesthetic square beams that meet in the middle provide a simple yet functional base to the centrepiece table top.